Various workers at Smiths Grocery in Green River between 2001-2003. Length: 20 min (not approx) Currently in the Ubstudios schedule to be converted to DVD. Shot on SVHS, DV format, Digital 8. -The first Ubstudios movie edited on a computer. -Parts of the film were shot with SVHS cameras. -Contained the first attempt at special effects. -One of the earliest Ubstudios productions to be scripted. 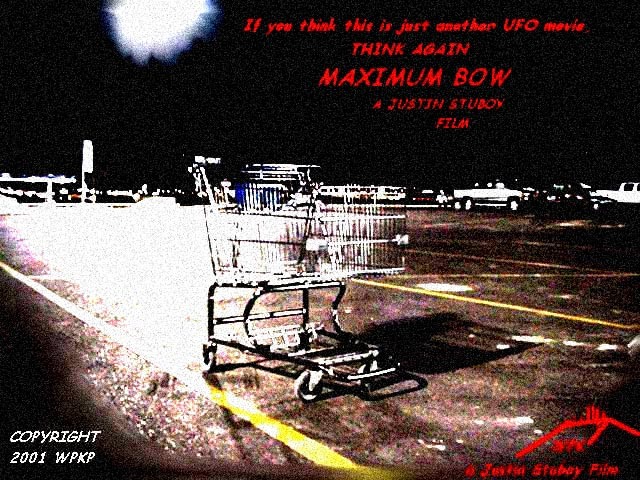 -One of the first official Ubstudios productions to use non Ubstu actors. -One of the first movies to actually pay it's actors, costing a total of 50 dollars (US). -The name for this film comes from a spider director Justin Stuboy had as a child, and is also a play on the film Maximum Overdrive, which the story is based on. -Audio Problems- During the portions shot on SVHS, the audio is cut out due to wind. -Audio Problems- During the laser sequences, the audio is choppy. -Continuity- Various times during the scenes in the high school, items and objects change places. This was due to the high number of takes. See the classroom shots specifically. -Revealing- The shot of the high school being hit by a laser is clearly CGI, as the pole that crosses in front of the camera has been poorly edited out. Independence Day (1996) - Special effects, based off of. Medal of Honor (PC) Soundtrack.